NYC – The singing sustain of multiple razor-edged electric guitars, the monster rock backbeat of Jethro Tull drummer Doane Perry and The Moonlight Sonata? 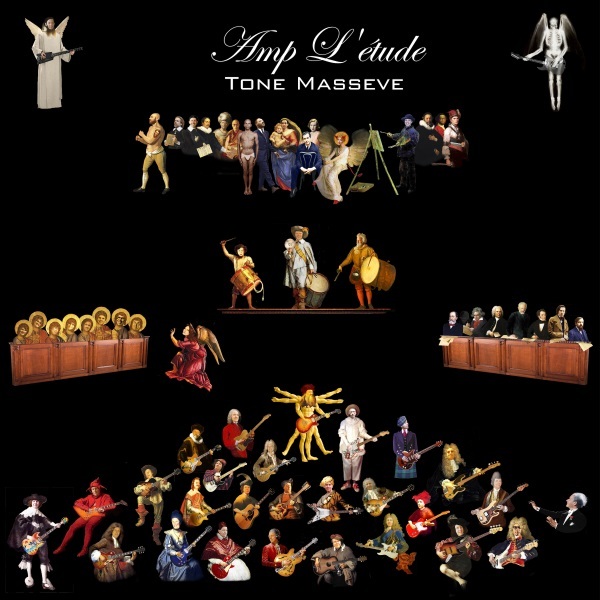 Yes, This mash-up is the concept behind Tone Masseve’s album “Amp L’étude.” Classical pieces? Yes, but these are not the dry, conventional versions we’ve all heard before. The album vividly brings these compositions to life with a new and powerful sound. Tone said, “In my childhood, I was exposed to many different musical styles and genres. Although I am really a blues player, I also love the music of Bach, Beethoven, Tchaikovsky, Schubert, Chopin and Debussy. I wanted to play their classical pieces with a rock sound and attitude.” He used the feedback, bends, shakes, falls and dives of his guitar heroes; Jeff Beck, Jimi Hendrix, early Eric Clapton, Robert Fripp, Brian May, Joe Satriani and George Harrison to do just that. Joyful, biting, menacing, muscular, melancholy and euphoric are apt descriptions which are summoned to mind when I listen to his music. All of those elements provided a powerful catalyst for my own contributions. I am honored to have worked with this gifted artist and to have been a part of such an original musical adventure … and I would like to think the mysterious and hugely talented Tone Massive will not remain unknown for much longer. In 2016 a wonderful and talented group of musicians came together to finish his long-lost album. The first was Doane Perry who added his hard-hitting rock drumming to six tracks. Doane was the drummer for the legendary, Grammy-winning rock band, Jethro Tull, for twenty-seven years. He also played with Lou Reed, Todd Rundgren, and many, many others.